AMELIA COLE AND THE HIDDEN WAR 1 is available now! Posted on May 8, 2013 by D.J. 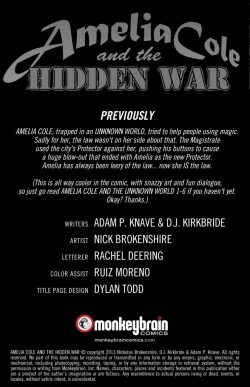 AMELIA COLE AND THE HIDDEN WAR IS HERE! $.99 – Ages 12+ – Amelia Cole is back, and this time, she’s the Protector! 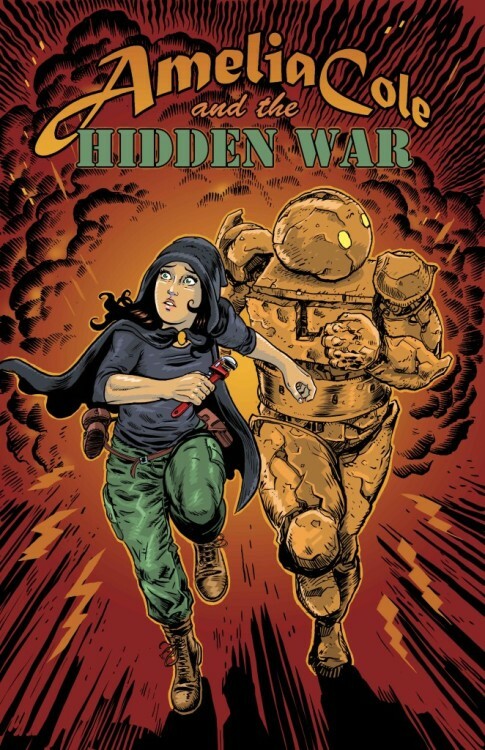 What is the HIDDEN WAR? Who are OMEGA COMPANY? And is the Protector cloak as itchy as it looks? 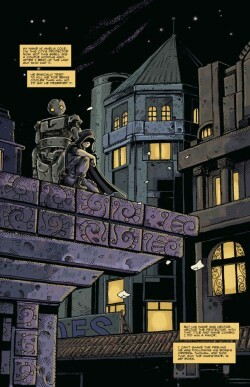 Adam P. Knave & D.J. 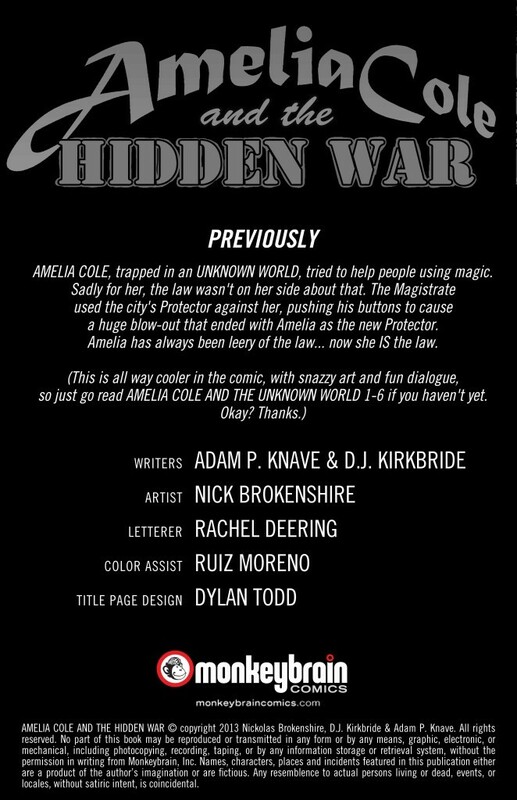 Kirkbride write, Nick Brokenshire draws, Rachel Deering letters, and Ruiz Moreno color assists AMELIA COLE AND THE HIDDEN WAR issue 1! You can buy it here — and also issues 1 – 6 of the Unknown World are on sale for only 99 cents each through May 9th! 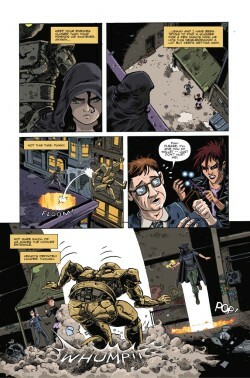 AMELIA COLE AND THE 99-CENT SALE! Posted on May 7, 2013 by D.J. 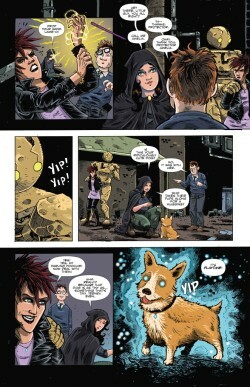 Catch up on THE UNKNOWN WORLD before THE HIDDEN WAR starts tomorrow! In celebration of the release of AMELIA COLE AND THE HIDDEN WAR tomorrow, all 6 issues of AMELIA COLE AND THE UNKNOWN WORLD are only 99 cents today through Thursday, May 9th!